Smile! Somali Pirates Have Seized Your Container Ship! 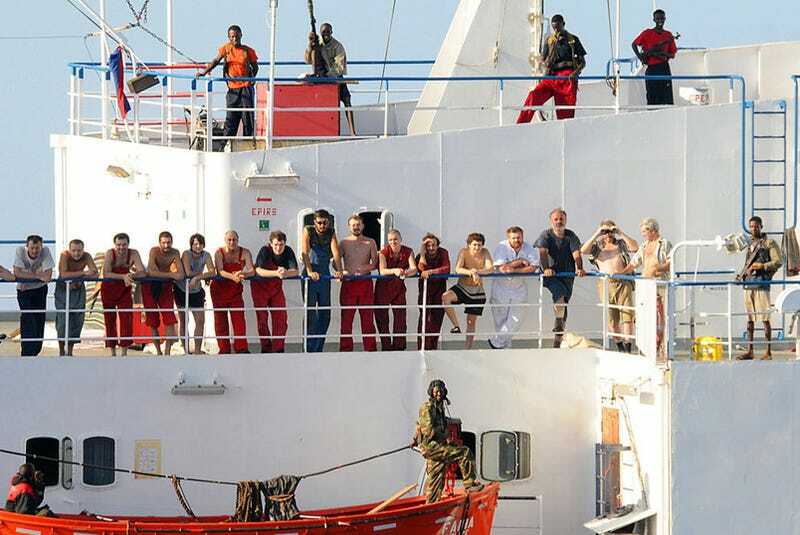 Judging by the smiles all around on both the MV Faina's Ukrainian crew and the pirates themselves, maybe getting your container ship hijacked in the Gulf of Aden isn't so horrible after all! Things get a little less lighthearted when you realize that the Faina was filled with Soviet T-72 tanks that may have been bound for the shitstorm that is Southern Sudan. A ransom was parachuted down the Faina's decks in a cargo container (which is the ransom delivery method of choice), and the pirates escaped.